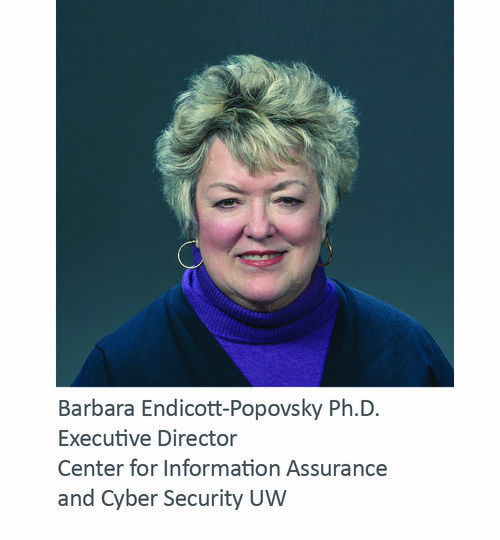 The Great Conversation interviewed the Executive Director for the Center of Information Assurance and Cybersecurity (CIAC), Dr. Barbara Endicott-Popovsky, to review her background and her passion for creating the next generation of cybersecurity leaders. Barbara will be sharing her perspective on filling the talent gap at The Great Conversation in Security on March 4 & 5 in Seattle, Washington. What is the Center for Information Assurance and Cybersecurity? The center is an NSA/DHS Center of Academic Excellence in Cyber Defense Education and Research. This designation is earned by demonstrating to a jury of peers our alignment with stringent Federal government standards. Through the years, we have received national and international recognition from our U.S., European and Asian academic and business partners for excellence in thought leadership. To provide you some history, we were ranked at #10 for best places in the United States to study cybersecurity by the Ponemon Institute in 2014. Our graduates have become Chief Information Security Officers (CISO’s) and Chief Privacy Officers (CPO’s) in government and industry, as well as senior consultants, analysts, and entrepreneurs. What was the reason for establishing the center? We were responding to the well documented deficit in cybersecurity talent in the U.S. In a great conversation, thought leaders leverage and build on the work of others. How was this principle applied in designing this program? We leveraged the interdisciplinary science and system-activity approach ingrained in the theory and methodologies of physical culture science and advanced sports pedagogy, applying that construct to cybersecurity education. The principle worked. In the sports world, it allowed individuals to find their appropriate physical activity aligned with their level of performance, authentic nature, and unique abilities. This inevitably leads to superior performance and a fulfilling sport career, culminating in the athlete’s personal happiness and sense of well-being. Why are you speaking at The Great Conversation? Whether you are in the cybersecurity industry, or some other field, as a leader you recognize that you are only as good as your ability to identify, hire, manage and measure good people. Our methodology can be applied, not only to the cyber world, but to any other field. Ultimately, this work provides a roadmap for filling the talent gaps we all are experiencing. Sign up with your email address to receive news and updates from the TGC Blog. © 2018 The Sage Group. All Rights Reserved.